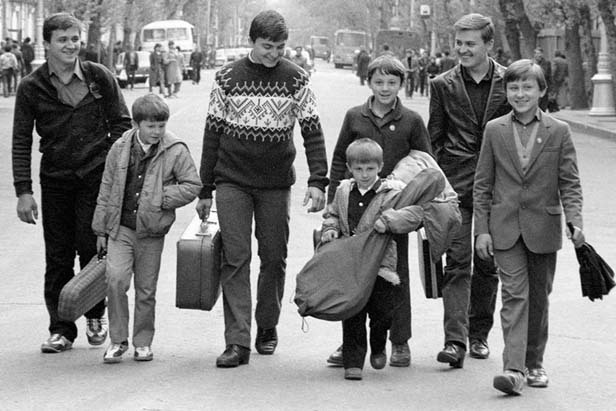 Unavailing effort to break through the Iron Curtain from Russia Beyond The Headlines on Vimeo. The first-ever children's jazz band to appear in Eastern Siberia was an instant success. It was made up of seven brothers with the family name Ovechkin. But on March 8, 1988, the talented young musicians turned terrorist when they attempted to hijack a plane to escape from the Soviet Union...in a desperate navailing effort to break through the Iron Curtain. Now, 25 years after the tragedy, we reveal new details on the case.